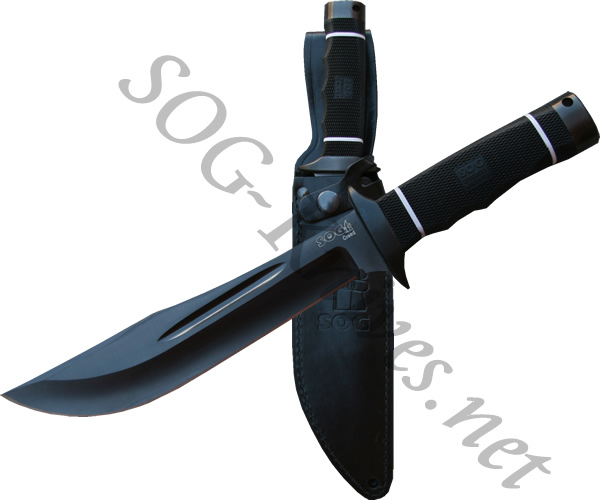 The SOG Creed model CD-02 has an AUS 8 blade that is coated in black TiNi. The belly of the blade is enhanced on the SOG Creed to give you extra chopping power with you are hunting or camping. The handle comes straight from the popular SOG Bowie knife line. The handle is made of textured kraton and has appealing white washers. A leather sheath is included with the SOG Creed knife. Own a SOG Creed Knife Black TiNi CD-02? Tell us how you like it! Got a question? Ask! Somebody will answer!